The average home has 40 devices plugged in drawing constant energy, even when they're turned off (this is called, creepily, 'vampire energy'). 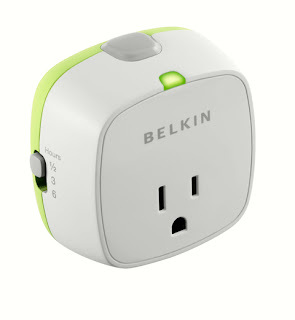 To combat this, Belkin has created a slew of products, in their 'conserve' line, that help consumers track, monitor and control energy use in their home. The Conserve Socket, which turns off automatically after 30 minutes, three hours, or six hours of use. They also make another socket, the Conserve Valet, that turns off when an electronic device is fully charged. • Makes your home safer by automatically shutting off space heaters, curling irons, coffee makers etc. 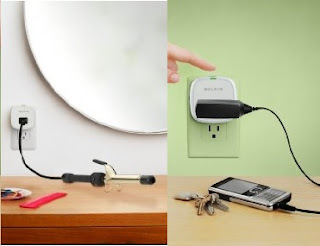 • Can be used throughout home for multiple devices including fans, cell phone chargers, lights, kitchen appliances, electric toothbrushes etc.